Bridesmaid Lace Yoke Skater Dress is rated 4.8 out of 5 by 9. 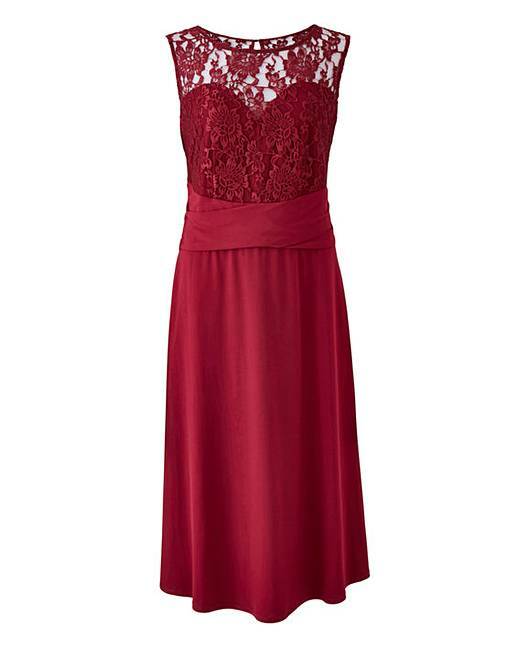 This occasion dress features a lace neck yoke and is cut to a skater shape. 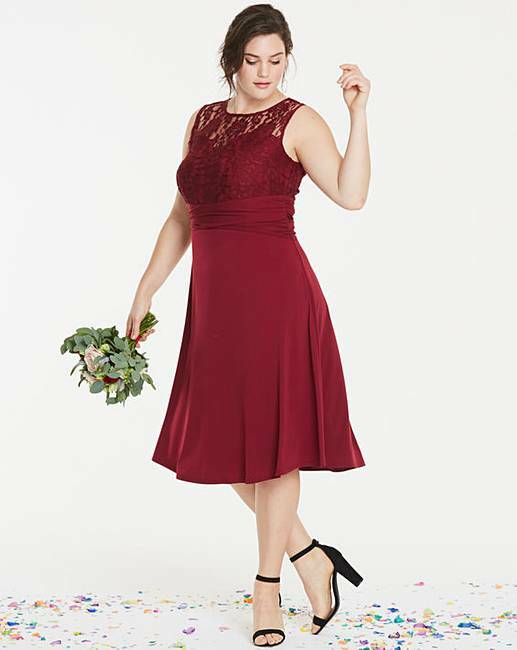 Featuring wrap detail, this dress is a perfect bridesmaid-style dress for a summer wedding. Lace: 99% Polyester, 1% Elastane. Lower body: 95% Polyester, 5% Elastane. Rated 5 out of 5 by Sue23 from Lovely dress Bought for my sisters wedding. I added an under skirt and it looked fabulous. Lovely material and lace detail, and value for money. 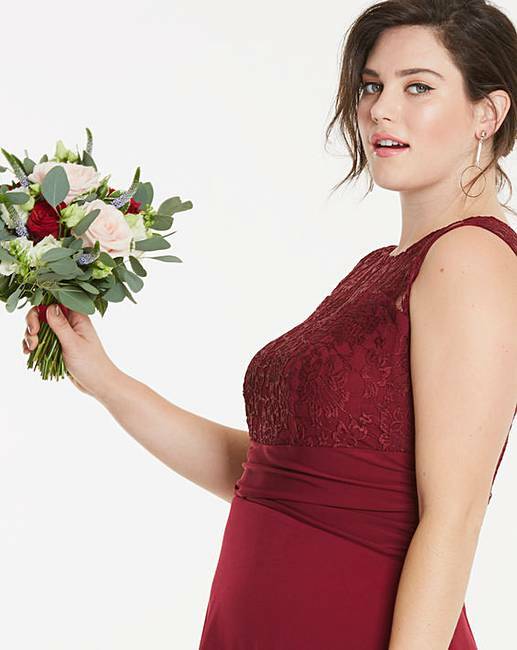 Rated 5 out of 5 by Shelly from Great Fit Flatters & Flairs I bought this dress for a winter wedding I was attending , the colour & style was exactly what I had been looking for . The dress is true to size & was greatly admired. Rated 4 out of 5 by missy64 from Pretty Bought this recently. Good fit and very pretty. Also a nice length im 5ft 10in. Would just comment it was a bit creased as delivered screwed up in a bag. Rated 5 out of 5 by Aries53 from Felt Special I bought this dress for my 40th (Ruby) Wedding Anniversary Party. I felt very special and was complimented on how I looked. Thank you for making my special day even more special.